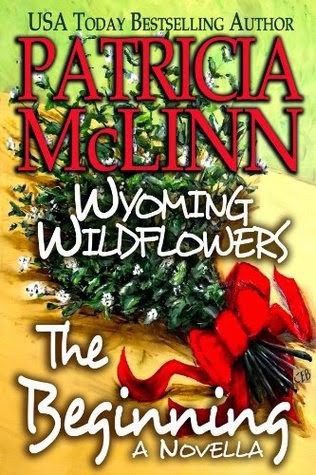 From Goodreads.com: Before the bestselling and award-winning Wyoming Wildflowers series, there was another love story, one that laid the foundation for all those that came after. Let me start off by saying that this is not only a novella, but it is also a "back-story" of the Wyoming Wildflower series which includes "Almost a Bride" and "My Heart Remembers" . That being said, as a novella the story is fairly faced paced, and even though the characters come with their own stories, the overall feel of the story is that it should have been longer. As a reader, I feel that I missed out on so much detail simply due the fact that this was a novella and not a full length novel. All of that aside, this was something that I could not put down. I felt a strong connection to Donna in her theater setting (being a member of the drama club in high school), so I completely understood her drive and desire to be on the stage and exert herself as not only an actress, but as the star. The romance between her and Ed was not without it flaws (two people from entirely different background both wanting completely different things from life), but they each brought something to the romance that was utterly sweet and endearing. I found myself not questioning their romance, but encouraging it even though they seemed to be from two entirely different walks of life. I will definitely be checking out the rest of the Wyoming Wildflower books to see what happens next!